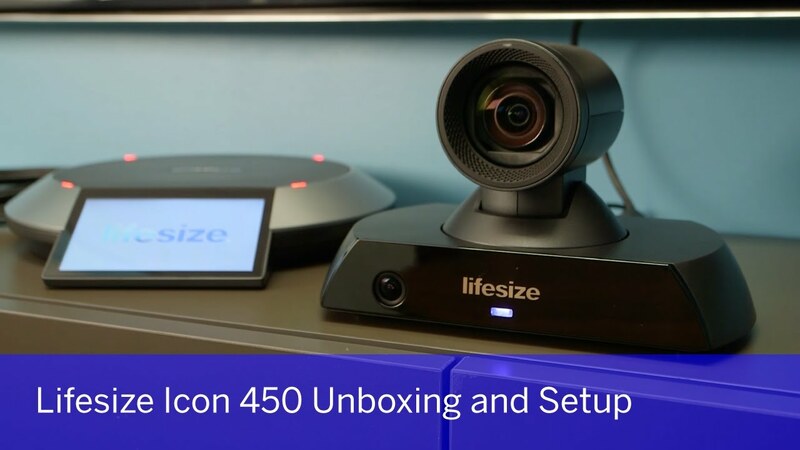 The Lifesize® Icon 450™ comes with everything you need to get set up and start making video calls. Inside the box you’ll find the Lifesize Icon 450 HD camera system, Lifesize® Phone™ HD, 2 HDMI cables (one for the display and one for screen sharing), 1 Ethernet cable, 1 power supply cable and 1 Lifesize Link cable to connect to the Lifesize Phone HD. Setting up a conference room with Lifesize doesn’t require a technology degree — just connect the camera to a TV and the internet, give it power and pair it to your account to start making calls. There simply isn’t a more powerful or easier-to-use video conferencing solution available.